The ATP World Tour has arrived in the clay court season. Before the first highlight on the way to the French Open will be held next week with the Monte-Carlo Masters, where everything is known that has rank and name in tennis, things are getting hot in Morocco as well. The Grand Prix Hassan II, which is being held for the 35th time in the history of Northern Africa and has taken place since 2016 at the Royal Tennis Club de Marrakech, has completed the first round. Finally, there is now a German-Spanish duel between Zverev and Munar for the quarter-finals, where with Benoit Paire or Pierre-Hugues Herbert in any case a counterpart from France would wait. Much speaks between Zverev and Munar thereby for a tip on the advancement of the world ranking third from Germany. After all, “Sascha” traveled to Morocco as an absolute top favorite. Here he is beside the surprisingly in the first round failed Italians Fabio Fognini the only player from the current Top 20 of the ATP world rankings. So it’s no surprise that Zverev vs. Munar has turned the bookie odds towards Germans, who could become the very first ever German champion at the Gand Prix Hassan II. So far, only Ricki Ostherthun (1985) and Philipp Kohlschreiber (2017) reached the final, leaving the potentially first German title but lie. At the same time, Jaume Munar, who was only 21 years old, was in the best of company. So far eleven of the 34 overall victories in the men’s singles of the ATP Marrakech went to athletes from Spain. Including, by the way, to defending champion Pablo Andújar, who is also in a German-Spanish duel in round two and meets Philipp Kohlschreiber. ↳ Current ranking in the world rankings: 3. ↳ Position in the seedling list: 1. 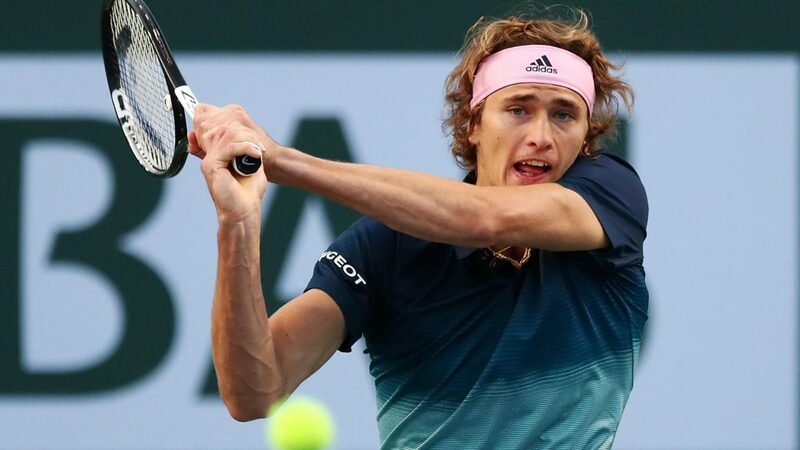 Originally the 21-year-old German Alexander Zverev was not scheduled for the Grand Prix Hassan II in Morocco. After the shooting star had recently failed in Indian Wells but in the second round to compatriot Jan-Lennard Struff and then in Miami on the 155th place in the ATP world rankings crashed David Ferrer, it needed a small reset. Without further ado, the number three in the world applied for a wild card for the ATP Marrakech. A wish that the tournament director of course fulfilled with the high radiance of his name. So for Sascha it’s all about collecting first practice on the clay court in 2019 at the comparatively small ATP World Tour 250 tournament, in order to be well prepared for the especially physically challenging clay court season. After all, Alexander Zverev is at stake in the many major tournaments on clay (with the Monte-Carlo Masters, Madrid Masters, Rome Masters and French Open, four major sand tournaments take place within a month and a half). Last season he reached the semi-finals in Monte Carlo, in Rome the final and in Madrid he won without further ado his third title to date at Masters level. So many points that would be deducted from him in further early retirement, which could drop the youngster in the ATP world ranking low. Therefore, the reigning world champion takes the seriousness of the Grand Prix Hassan II, in which he is by no means out of obligations to the tournament director or any sponsors opposite, but to 100% of their own free will. Just so that the year in which no individual title and a somewhat mixed record of eleven victories against four defeats is recorded, is directed in the right direction. In the opening victory against Denis Istomin he already succeeded the first step. Even now speaks at Zverev vs. Munar the odds again for the German. ↳ Current ranking in the world rankings: 60. 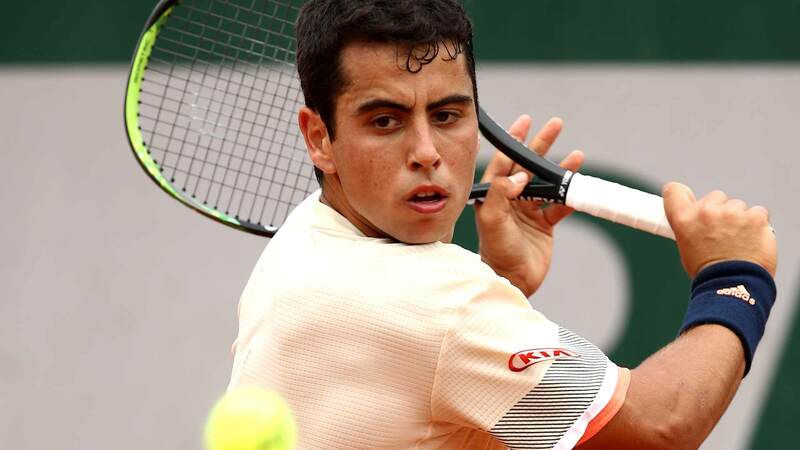 21-year-old Spaniard Jaume Munar is not only in the best of his hitherto successful compatriots at the Hassan II Grand Prix, but he also plays in the best Spanish tradition. For example, the player whose role model is Rafael Nadal and who also trained as a tennis pro in the Rafael Nadal Academy specializes in the clay court. Between 2016 and 2017, he took on the ITF Futures Tour all seven individual titles of his career on sand, which he also followed in the ATP Challenger Tour. His first title in Segovia, Spain, he won in August 2017 still on the hard court with a 2-0 against Alex De Minaur, but then also recorded two individual titles on sand – both in June 2018. Never before has there been a clash between Alexander Zverev and Jaume Munar, who will face each other for the first time in the ATP World Tour. Much speaks in favor of Zverev against Munar for a tip on the number three in the ATP world ranking from Germany. For Sascha, however, this second round match will not be easy, especially as he meets a physically strong and highly motivated clay court specialist in the form of Jaume Munar. No wonder, because the Spanish shooting star was trained in the academy of the clay court king par excellence, Rafael Nadal. Exactly the caliber with which Alexander Zverev wants to compete in order to be as well positioned as possible for the sand season. A surprise victory for the aspiring Spaniard in the north of Africa is certainly not excluded. In order to set with this value, however, Zverev against Munar, the odds for the Spanish shooting star should have been significantly higher. We do not expect him more than 20% chance of winning, which is why it should have been at least a 5.00. Thus, at Zverev Vs. Munar is just the tip of the quarter-finals of Sascha, who has already played in the first round of his concentrated experience to confidently reach the inaugural victory. Another plus point is that the German is considered an all-rounder and could celebrate some of his greatest achievements on clay court (two of his three Masters titles against back on this surface). We therefore get ourselves a odds boost by bet on the next 2-0 victory of Alexander Zverev, which we allude with five units.